“The Theosophist”, Adyar, India, in August 2004. State” for publication in our associated websites. 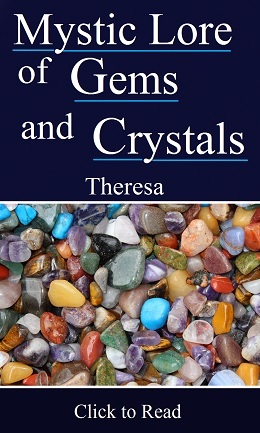 In various works on the subject of meditation, four states of consciousness are mentioned: the waking, the dreaming, the dreamless sleep and the Turiya. For the average meditator, the first two - the normal state of awareness when we are awake, and the dreaming state - are not too difficult to comprehend because they are common experience. Many, however, feel unable to understand dreamless sleep, as this seems to be total unconsciousness, and can only try to imagine what the Turiya or fourth state is like. Nevertheless, many meditators will be able to appreciate there is a transcendental state when the activities of the lower mind are quietened and consciousness, whilst being retained, becomes pure subjectivity, i.e., there are no objects of consciousness for it to be aware of. It might therefore be of interest to the aspiring student who endeavours to practise meditation seriously to know what H.P. Blavatsky has said regarding the Turiya state. This information is in the Esoteric Section (ES) Instruction No. 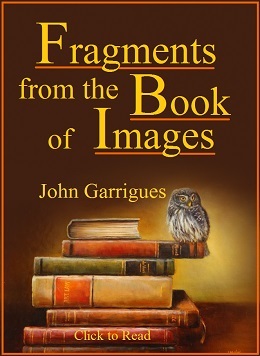 5 in Collected Writings, vol. XII, pp. 710-711. 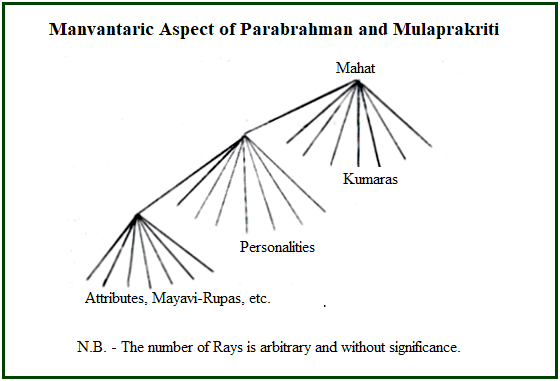 First there is a diagram showing rays emanating from the combination of Parabrahman and Mulaprakriti. 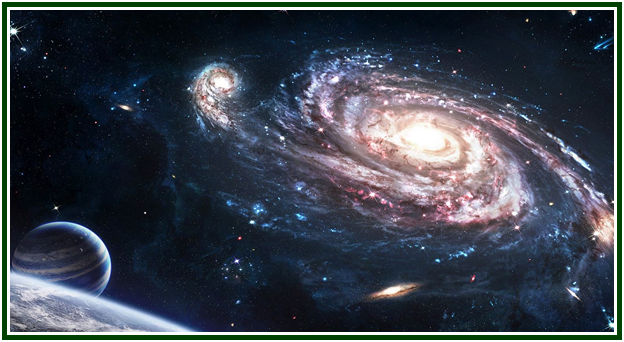 Parabrahman is the dynamic aspect of the universe. Mulaprakriti is the abstract root of matter existing before manifestation, when it becomes Prakriti. Together these two form the root of existence from which consciousness at our level of being can arise. The diagram shows that the first manifestation of this supreme dichotomy is the root of mind, sometimes referred to as Universal Mind or Mahat. This descends into three kinds of composite rays which are labelled Kumaras, Personalities and Attributes, i.e., Mayavi Rupas, etc. The diagram shows that for each of these there are seven rays, but notes also that the number of rays is arbitrary and without significance. Note that in the last paragraph the colour green is referred to. This is the colour of the lower mind, illustrated first in the colour plate opposite p. 580 of Instruction 3 and referred to again in Diagram V opposite p. 569. This helps us to understand at least the rationale of deep meditation when the Turiya state is achieved.